Ponmudi, translated as the Golden Peak is a very well-known hill station, lying in the Thiruvananthapuram district of the south Indian state of Kerala. Situated 61 km northeast of Trivandrum, it stands at an altitude of 1100 m above the sea level. A part of the Western Ghats running parallel to the Arabian Sea, this place has been blessed with natural beauty in abundance. Its verdant green beauty, scenic spots, hills, and other tourist attractions enchant the tourists every year, mainly during the summer months. Ponmudi also has a number of tea plantations where you can take a leisure walk. The place is also quite popular amidst trekking and hiking enthusiasts. 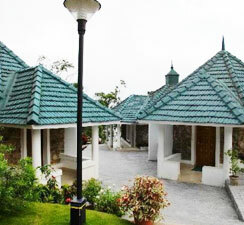 This hill town does not only boasts of natural beauty, picturesque spots, crystal clear streams but is also dotted with a number of tourist attractions.